It's a little early for Halloween drawings, but I did a few for cards in my Zazzle store and so wanted to do a post about them. The first one below is a play on the black cat with the arched back image. I wish I could do more black pug drawings but I need color to do it properly (e.g., markers, paint) and usually I just have my moleskine and pen with me. 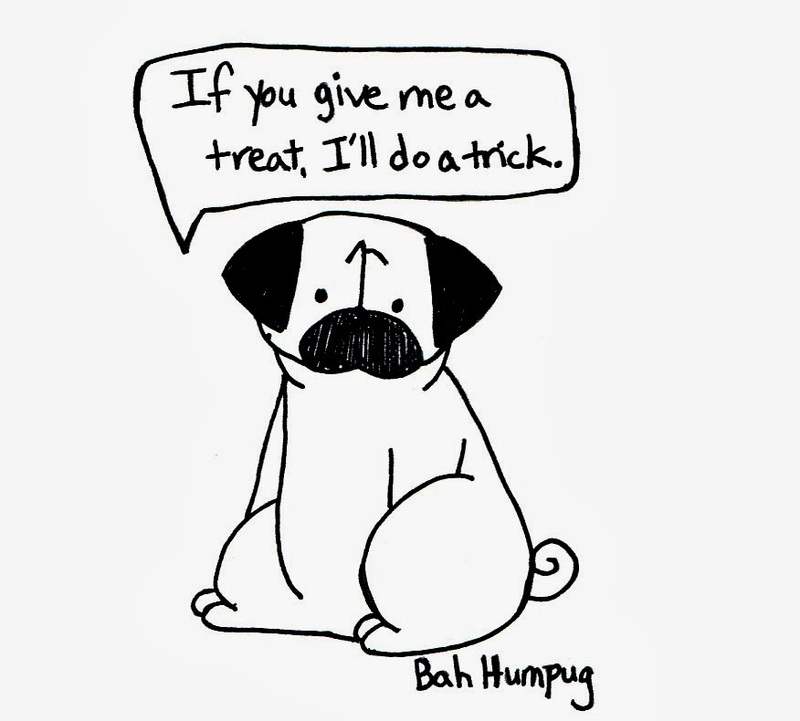 You can find a card with this image here at Trick and Treat CardBlack Pug Halloween Card. 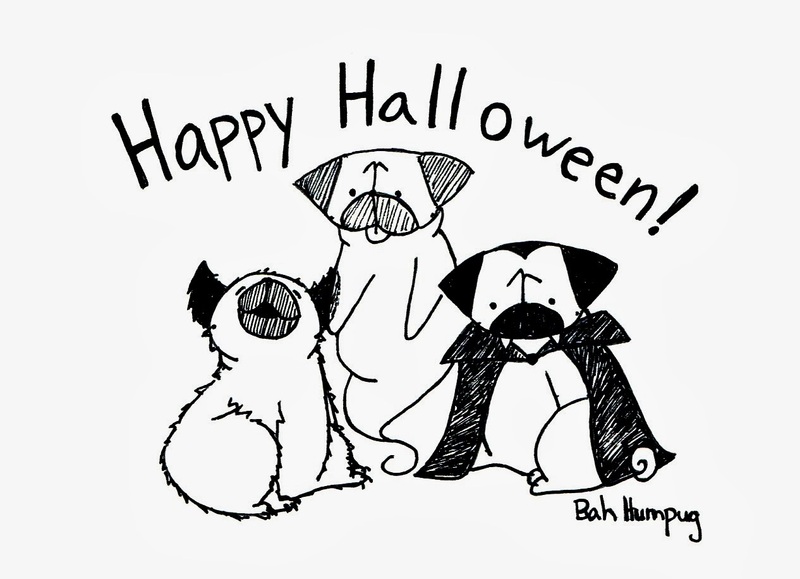 I did a drawing of this trio a while ago ("Scary" Monster Pugs) but the drawing wasn't the best quality and so I wanted to update it this year. Below we have a werepug, a ghost pug, and a vampug! 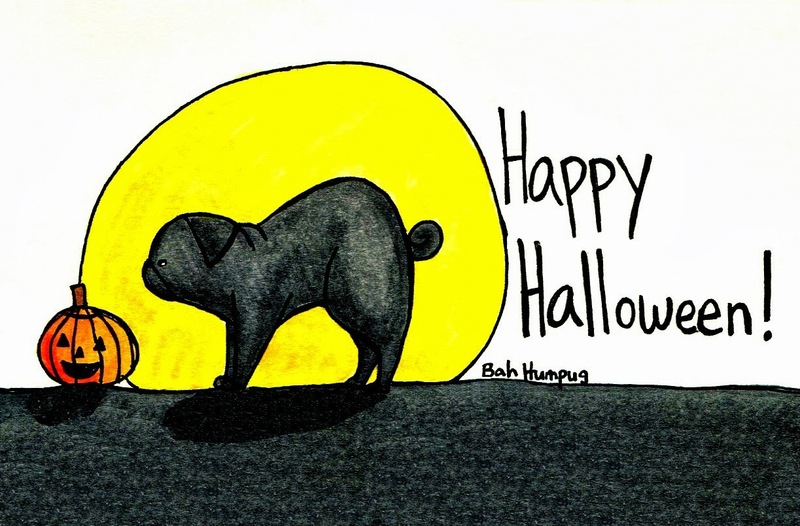 You can find a card with this image here at Halloween Pug Monsters Card. And last, I did a more unconventional type of card with some pug specific humor. Pugs will do anything for food but if they can do it with minimal effort they will! The first image is on the front and the second image is inside. 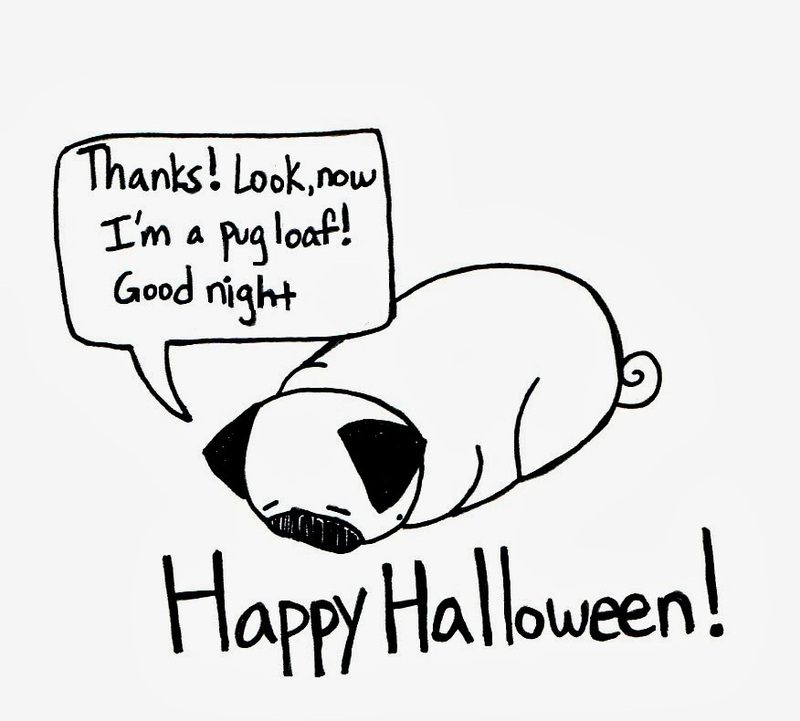 You can find a card with these images here at Trick and Treat Pug Card. I'll add more Halloween cards for next year, but I probably won't have time to add more before this year's Halloween. I plan on adding more holiday specific stuff in the next month or two so keep an eye out at my Zazzle store, Bah Humpug!